Enjoy a crispy malai paratha in your breakfast or lunch. This is quite easy Pakistani Food Recipe and you need a few ingredients for preparing it. 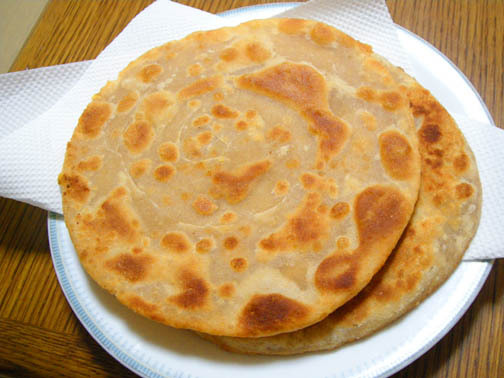 If you want a paratha for your kid’s lunch box then Roll Paratha is best with a delicious taste. In a bowl put flour, cream, yeast, salt, sugar and knead with water until get a soft dough. Keep it at room temperature for 15 minutes. Now divide it into 2 balls & roll it thin. Apply ghee or oil on it and sprinkle little bit of flour and roll it like a swiss roll. Now cut the ball with the help of knife to form paray's and refrigerate for half an hour. Now roll out it like normal parath then cook it on hot griddle. Once flip the side put ghee/oil on top side then again flip and cook from both sides until golden. Delicious Malai parathay are ready to serve.